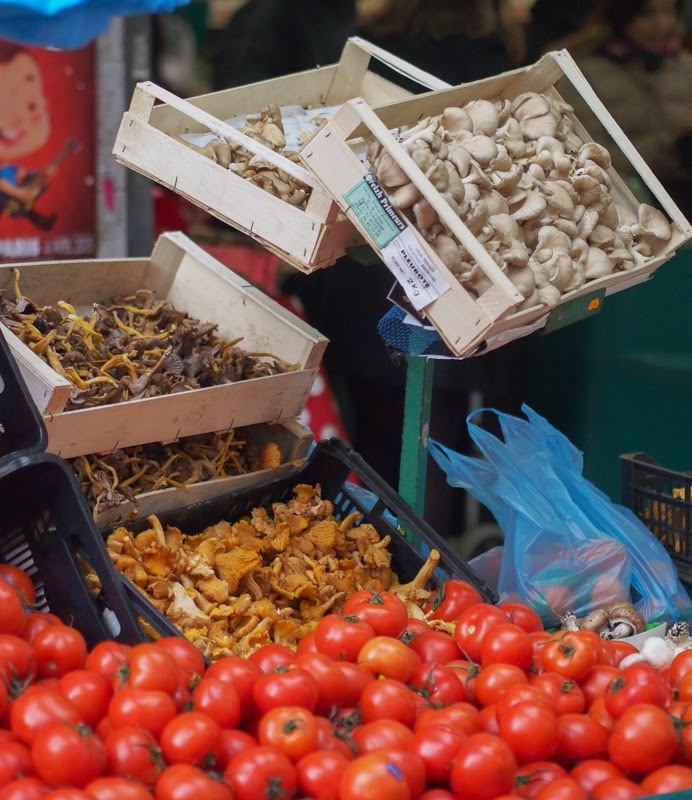 A high quality food market that shows why Paris is one of the best places in the world for food. To shop, obviously! 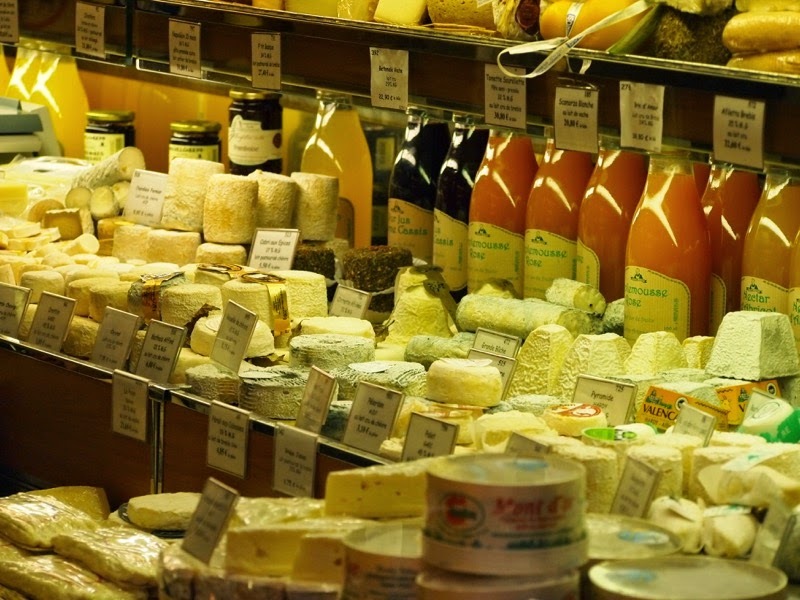 Or simply to drool over pastries, cheese, and other local delicacies. Rue de Lévis, in the 17th Arrondisement, near metro Rome. Map. PARIS HAS A reputation to uphold when it comes to food. However, quite a few tourists leave disappointed, wondering what all the fuss is about. The truth is that cheap restaurant meals in Paris are, like cheap meals the world over, thrown together based on cost rather than taste and if you were hoping that your €15 meal deal in the Latin Quarter was going to be Michelin-star worthy you'll be sadly disappointed. Stellar restaurant experiences abound, but they come at stellar prices. 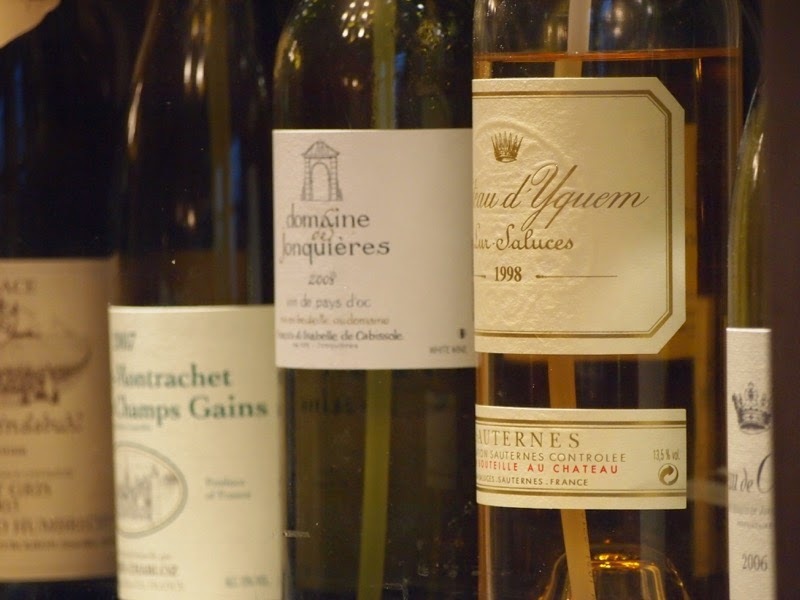 A meal for two with wine in a good quality bistro will easily set you back €100 or so- perhaps not a viable option for those travelling on a shoestring budget. 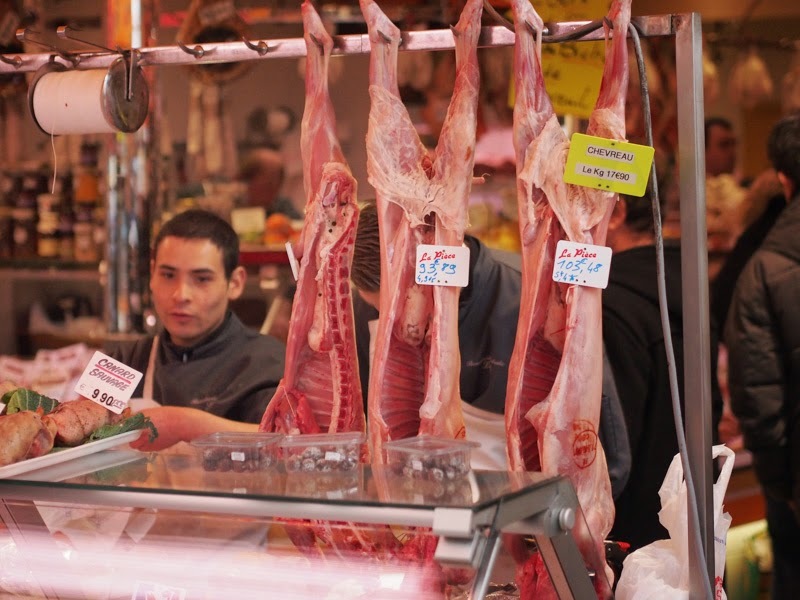 If you still want to eat well in Paris without taking out a second mortgage you have to go native- shop like a local. 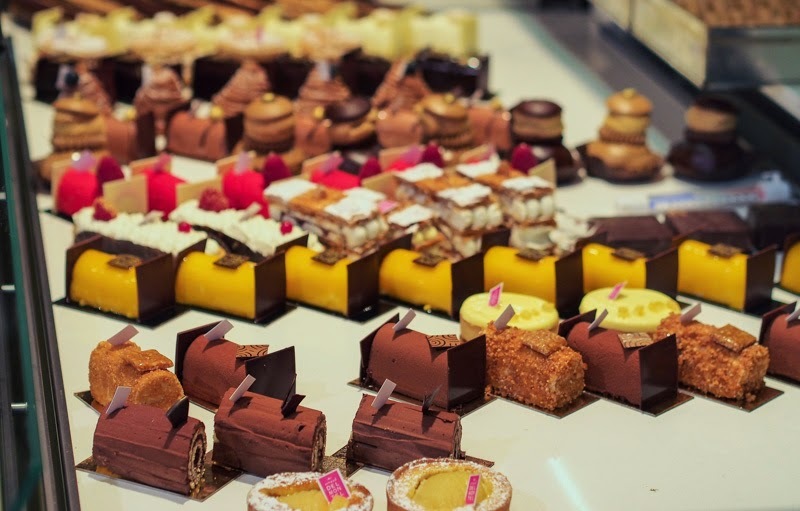 Parisians have access to fabulous produce and products and there is nothing that stops you from following in their footsteps. 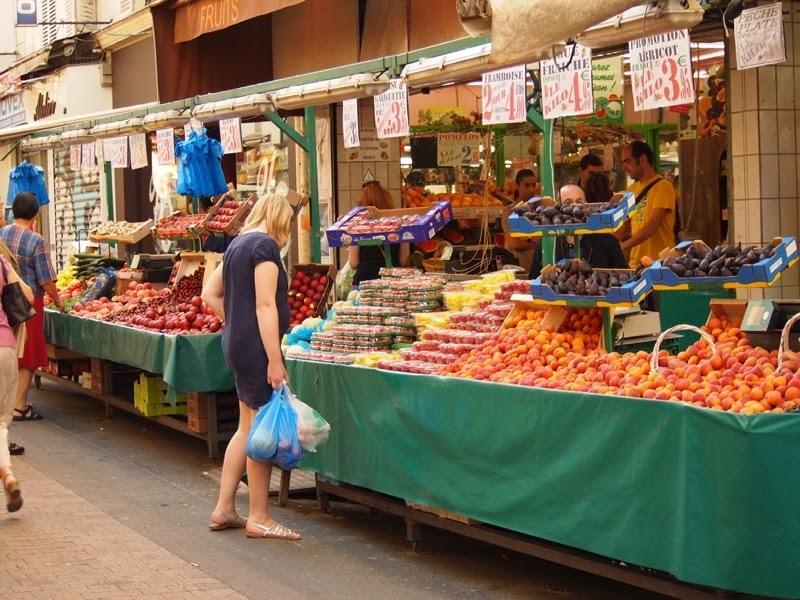 Markets are of course fun and colourful and a few of them have become popular with tourists. If you've ever been to the infamous Rue Cler, you will may have been run over by guidebook-toting Americans as US travel guru Rick Steves has turned this into a top tourist attraction for his (very dedicated!) followers. 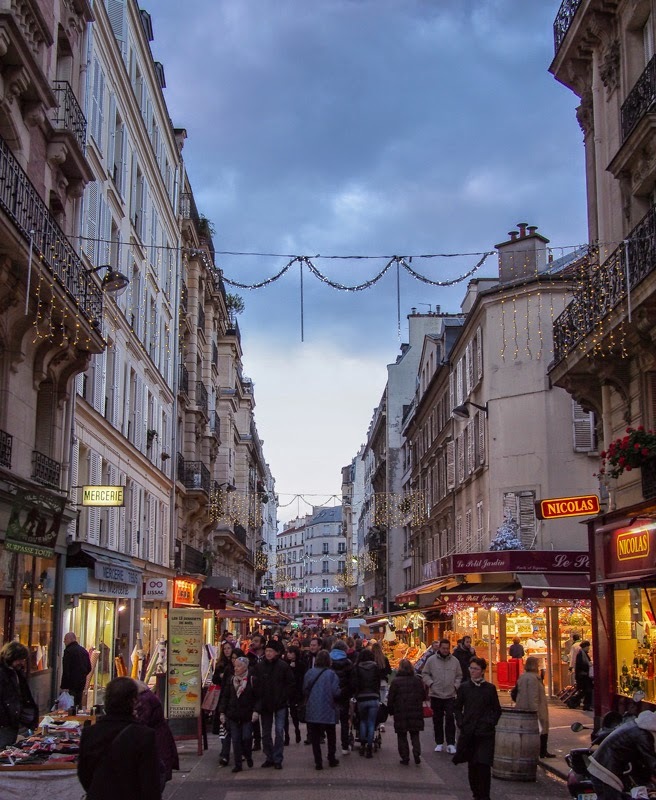 Fortunately there are many other markets throughout Paris and Minor Sights' favourite one is Rue de Lévis, a pedestrian street where the food shops spill into the street. So grab a shopping bag, and let's go for a walk. Strictly vegan? Not to worry, there's a large selection of fruit & vegetable sellers, who are very seasonally driven. And of course, no meal would be complete without bread, which is baked throughout the day and will often reach you still warm from the oven. If you buy a baguette, never, ever buy anything but a baguette tradition, which is made with a sourdough-like starter- the best one is sold by Arnaud Delmontel. The French are famously unsqueamish, and if you enjoy seeing Fluffy prepared for dinner, you've come to the right place. More conventionally, the smell of roast chicken wafts throughout the street, and a whole host of other feathered friends, porky sausages and bloody slabs of beef is enough to make a vegetarian (or anybody raised on styrofoam-wrapped meat) recoil in horror. I kid you not- whole young goats for sale. 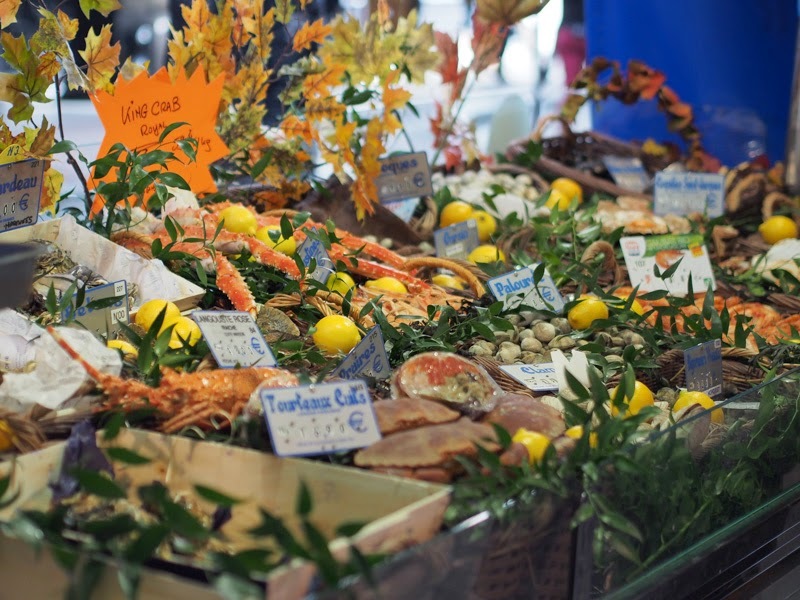 If you're a pescatarian then there is an alternative to get your animal-protein fix: the fishmonger. Of course there's boring old dead fishes but how about some cockles, crabs, or scallops? On on! Time for a tipple? There are four caves (wine shops) available so you never need to go thirsty. 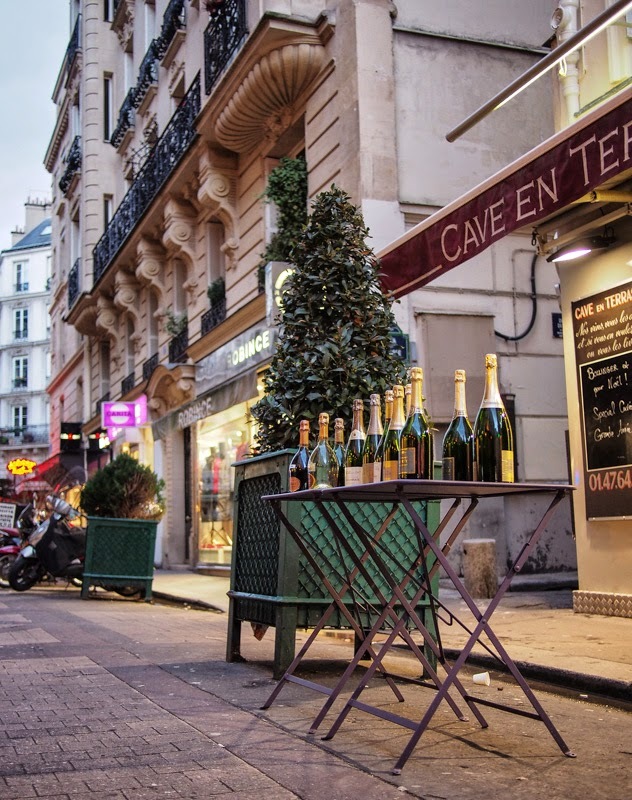 Our personal favourite is Cave en Terrasse, but they all have a good selection of small producers, cold Champagne, and prices for every budget. The Nicolas shop even has a small selection of foreign plonk. Sacré bleu! Time to satisfy your sweet tooth? 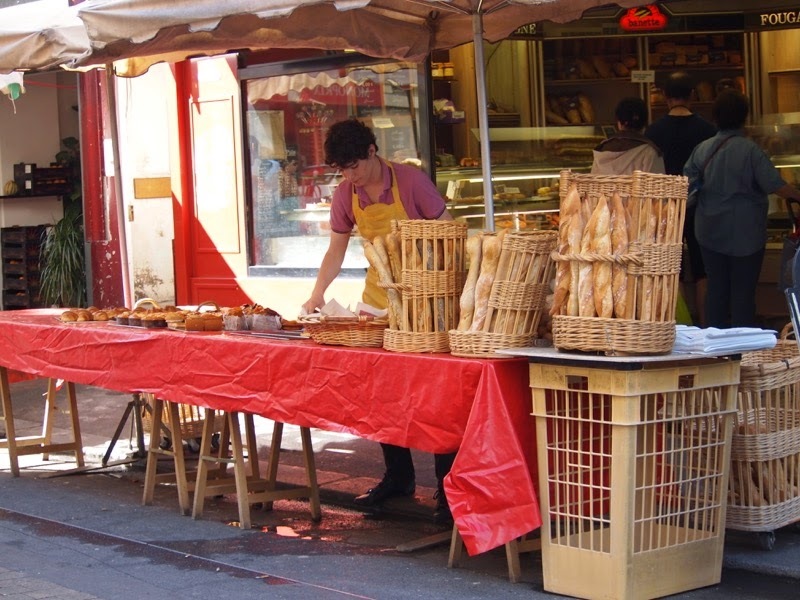 There are several pastry sellers (as well as five (!) chocolate shops.) Again, Arnaud Delmontel wins hands down with his exquisite collection of tartlets and pastries. Of course, now that you've purchased more than you can possibly consume, what do you do? The best thing is to head for nearby Park Monceau, where you can sit on the grass and enjoy your budget 5* meal. Bon Appetit! Couldn't be simpler, really: take the metro to Villiers and hey, presto! You're very welcome Natali. Do you have any plans to go to Paris? Thanks Allen. Glad you enjoyed it. Have a look at the other posts about Paris/France. Perhaps something else that will pique your interest. As one who eats very little meat, count me among the squeamish, and yet we find ourselves at each and every market we can make time for. I'm sure it will be the same when we return this summer. Don't worry Arnie, there's still plenty of stuff to enjoy... there are still some artichokes left and the first white asparagus and French strawberries have just started coming in... delicious! Looks amazing. My wife and I will have to check this out when we are in Paris in the future. What is the availability of apartment rental for 3 months in your area? Glad you liked it. No idea about rentals though. 3 months is an awkward time. When will you be here? You are so right! Thanks for pointing out this obvious mistake. We've corrected it! Thanks for letting us know. What are your favourite shops on Rue de Lévis?